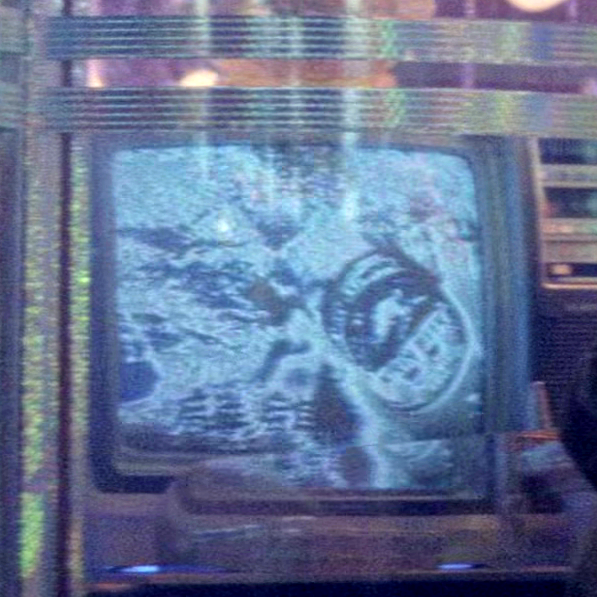 TLDR: Take a real close look at the 'commercial' playing on the TV's in the store behind Deckard when he's reading the paper outside the noodle bar very early in the film. 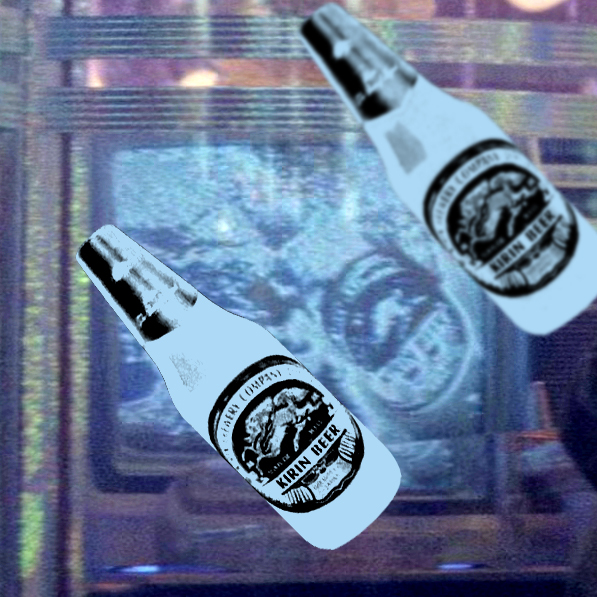 Apparently, those TV's are running a loop of the commercials shot for the blimp & building video-billboards? 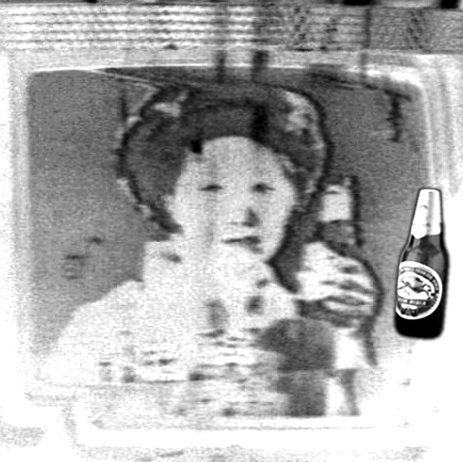 I took a quick look at Jason Eaton's blimp video commercials, and his seems to show the geisha girl with mug & bottle shot, but not the close-up of the bottle pouring that shows the label clearly. 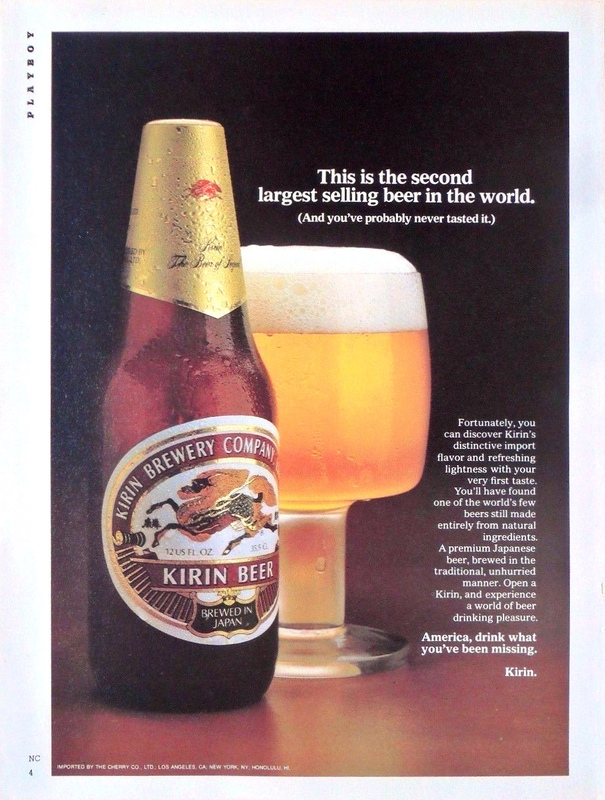 I found a Kirin ad on eBay that seems to date that bottle & label style to at least 1979. There's a similar version that doesn't have the 'neck wrap' covering the cap, so be careful. 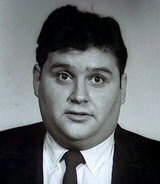 And another home-run for Mike J. Nice spotting. Cant wait to get my hands on that blu ray. Another cool find. 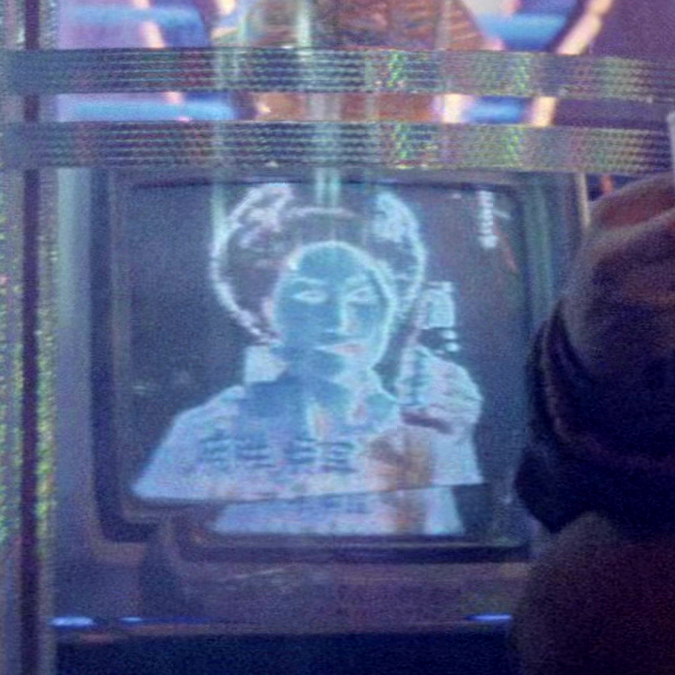 And another reason why this movie has lasted as long as it did, its density. 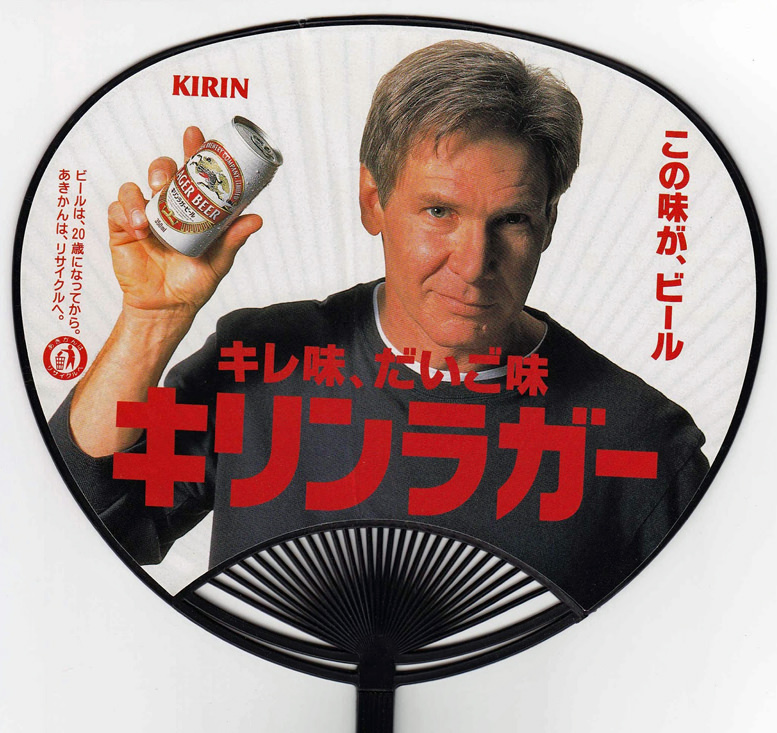 Those ads must have made an impression on Deckard. Seems he was hiding in plain sight after 2019. 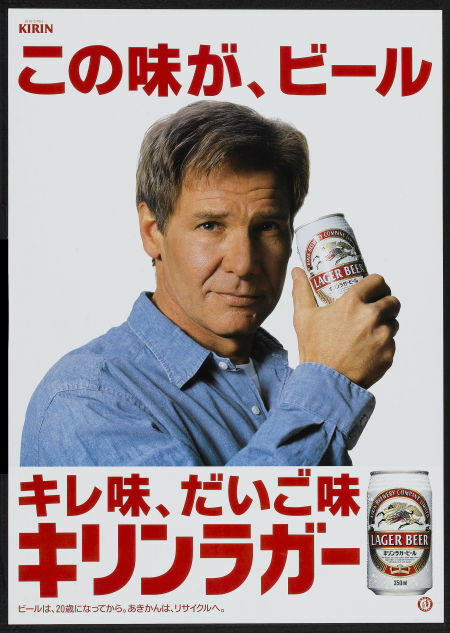 TFS Art Deckard Funny to see those commercials.